Are you holding a special event? Whether you’re hosting an anniversary party, a wedding reception or an elegant corporate fundraiser, you don’t want to spend the entire evening pouring drinks instead of enjoying the party. You should hire a bartender for your Florida event. However, you shouldn’t hire the first company you come across. It’s important to ensure you work with a business that fits the personality of your party. Consider what kind of drinks you want to serve at your event. For a basic anniversary party, it may be enough if the bartenders only provide beer, wine and basic mixed drinks. If you’re hosting a corporate event or a wedding reception, consider whether the company will create a custom cocktail menu based on the evening’s theme. The menu could be based on a color theme, type of cuisine or simply which tastes the guest of honor prefers. Another consideration as you look to hire a bartender for your Florida event is how the staff will dress. Their attire should match the feel of your event. A casual party in the afternoon would require less formal attire than an evening black tie gala, for example. No matter which type of clothing is required, your bartenders should look professional and well-groomed. Finally, choose a bartending company that travels, has portable bars, and provides setup and cleanup as part of its services. Doing so ensures that you won’t need to provide bartending equipment or spend time to set up or clean up the bar on an already busy day. 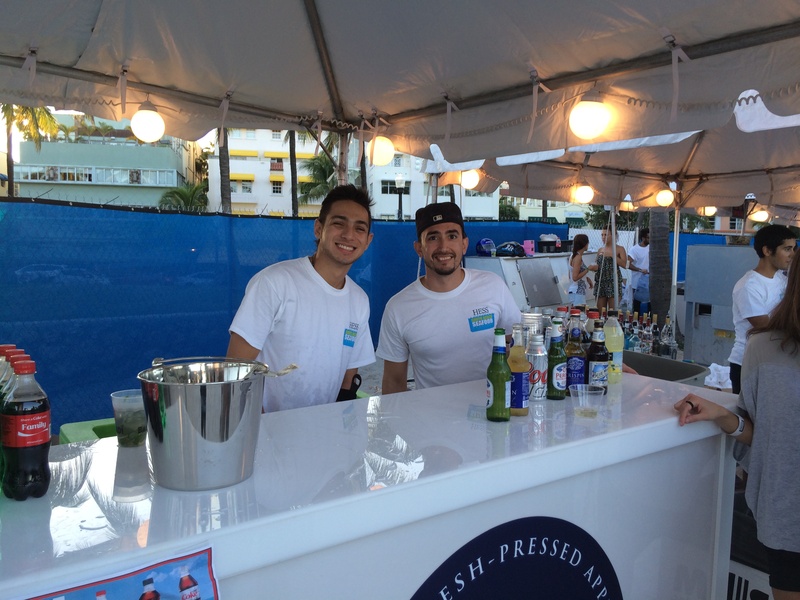 If you wish to hire a bartender for your Florida event, consider Elite Bartending School and Event Staffing. Our company provides mobile bars and bartenders, and serves areas all over Florida, including Miami, Ft. Lauderdale, the Keys and all of Southwest Florida. To find out more, call Elite Bartenders at (239) 900-6701 or register for information via our online contact form.